The Classic Horror Message Board never fails to amaze me with the regular discussion of obscure films. It's an invaluable resource for myself and anyone who has a love for classic genre film. 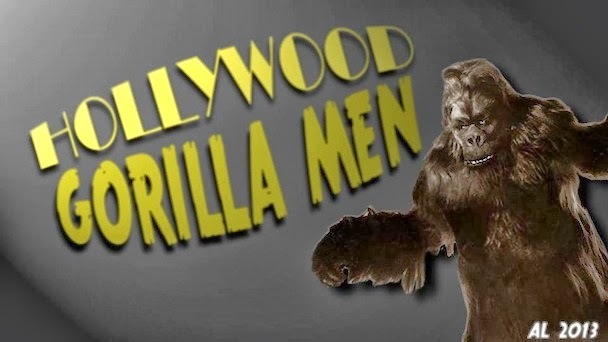 When I first became fascinated with gorilla suits, I compulsively made lists of movies that featured any sort of explicit or implied simian presence and later whittled it down as I became more intimate with the titles. 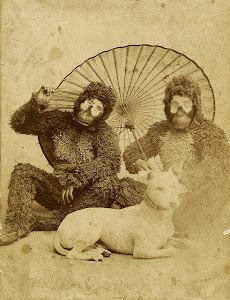 Although I came across the name of 2 Indian productions, KING KONG and TARZAN AND KING KONG, I did not have the foggiest what they might have been about. 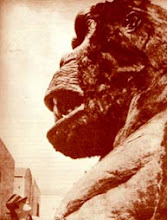 The notion of a Bollywood number involving a giant ape climbing the Taj Mahal was tantalizing but I had always assumed these films might have been similar to the Turkish ripoffs of the 60's and 70's which involved the pirating of Hollywood blockbuster like STAR WARS, with local actors and new scenes and dialogue shoehorned in. Apparently I was mistaken! 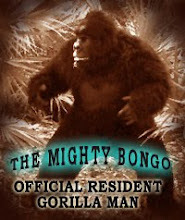 The King Kong of these tales is a wrestler who has a series of jungle adventures and although he does battle a gorilla in the second film, the ape is only five and a half feet tall. A short clip is posted below although you do have to sit through some sweaty fisticuffs before getting to the gorilla a mano throwdown in the final minute.